If you want a better understanding of how serious identity theft is, the recent news about the computer hacking at J.P. Morgan Chase should be a real eye-opener. A gang of cyber hackers broke through the security walls of not only J.P. Morgan, but of several other financial service companies and media outlets. The personal information of tens of millions of consumers were exposed to theft and fraud. A group legal plan can effectively help an individual if it has identity theft and credit monitoring. The image of a solitary hacker breaking into a personal account and then setting up a bogus credit card is outdated. Hacking has become very sophisticated as a crime. The original hacker does not set up accounts but sells information. It means that if your financial data is compromised, it could be sold to a number of buyers. Before you know it, there are fake credit cards established all over place with your information. It can take months if not years to get things corrected. 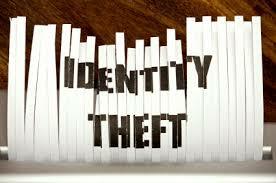 Group legal services that provide a real benefit of ones that help prevent identity theft from becoming destructive. Countrywide Pre-Paid Legal Services offers a group legal plan that provides for identity theft prevention and credit monitoring. Early warning is one of the best ways to stop identity theft from becoming a personal financial crisis. Countrywide offers the Platinum ID Protector Plan, and the Premier ID Protector Plan. Each of these group legal plan benefits includes credit reports from three credit monitoring bureaus (Experian™, Equifax, and TransUnion™). A plan member knows almost immediately if there’s any sudden and substantial purchases on the credit cards. Countrywide does not stop there when it comes to offering these group legal services to people. Restoring financial integrity after an identity theft can be a legal nightmare. It can require a person having to get notarized affidavits, filing with various agencies, and getting legal advice to help in the emergency. Both Countrywide plans have an identity theft insurance policy of $25,000. It can help defray the legal costs and other expenses. A person is able to restore his or her accounts, and prevent fraudulent accounts from being created. These two plans offer the kind of group legal services benefit that matter to consumers. Countrywide has developed group legal plan benefits for organizations since 1987. We understand that employers want choice. The benefit they provide for their employees should reflect the needs of that workforce. It is why we have two options when it comes to protecting identity and monitor credit. Decision-makers have what they feel is necessary. Countrywide adds little extra to either group legal services selection. That is efficient service. Anytime a person discovers his or her personal information is compromised, it creates a panic situation. The victim wants help as soon as possible. Countrywide benefits have a streamlined administration. We make absolutely certain that a plan member gets needed help as soon as possible. Their emergency is a priority for us. No matter who the individual is, a plan member does not have to wait. This is in addition to people sensitive service. We do not want anyone to feel they are a number or a case file. Empathy is a major quality of Countrywide service. Hackers and information thieves are always looking for new opportunities. You do not want your employees to be victims of these shady characters. Countrywide has services your employees need to protect their financial integrity. You may have some questions about what we offer and we would welcome the chance to answer any and all of them. Please do feel free to contact us.